Some of my 2016 quilts! Berry Swirl quilt block, measures 12" x 12" (finished). You can download the FREE paper piecing pattern from my Craftsy shop here! We All Sew 'Never tear out stitches again' a technique for figuring out angles and needed fabric sizes that I figured out a few years ago and am so glad someone else made a tutorial for! Berry Swirl quilt block, rocks to keep it from blowing away! Hi Renee - visiting from the Blog Hop. I love Berry Swirl!! I hope to make some of the blocks from the Blog Hop and this is a must! That is a great block!!! Well done! I love berries. I also love your nlock. Yay you! This is a fun block - swapping out colors could be really interesting. This is a very beautiful block. The use of the darker red in this block really makes it. Coming from the Hurricane belt along the Gulf of Mexico, your block represents those big storms perfectly! I may have to make a pillow out of one for my dad and stepmom who still live there. Thanks! Love your block, it really pops! Thanks for the paper piecing pattern as I'm sure to use it. Lovely block and I love the name too. Definitely one for my collection. Great block! 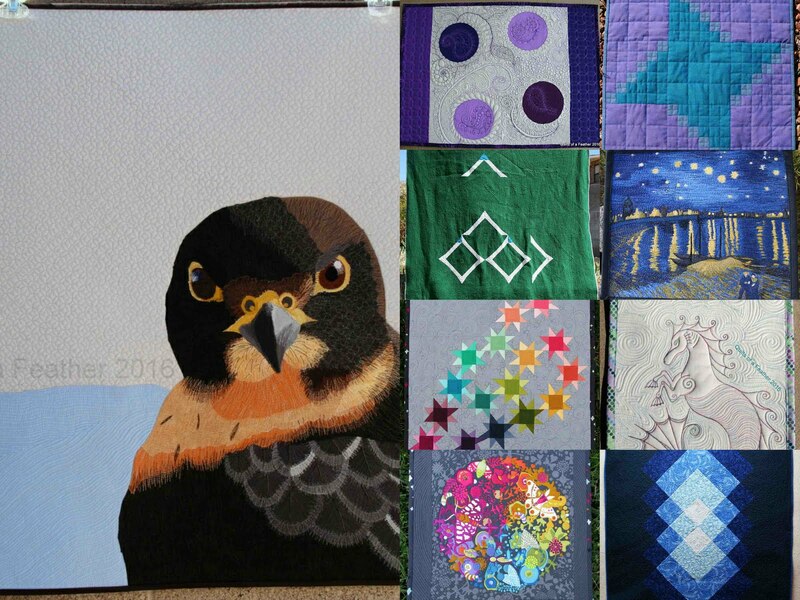 And your quilts from this year are amazing! What a fun block. And the name is perfect for it. I love how the color placement makes your block pop! This is such a fun block. It's going on my "to-make" list! What a lovely block! I really like the movement created in the swirls. Beautiful! 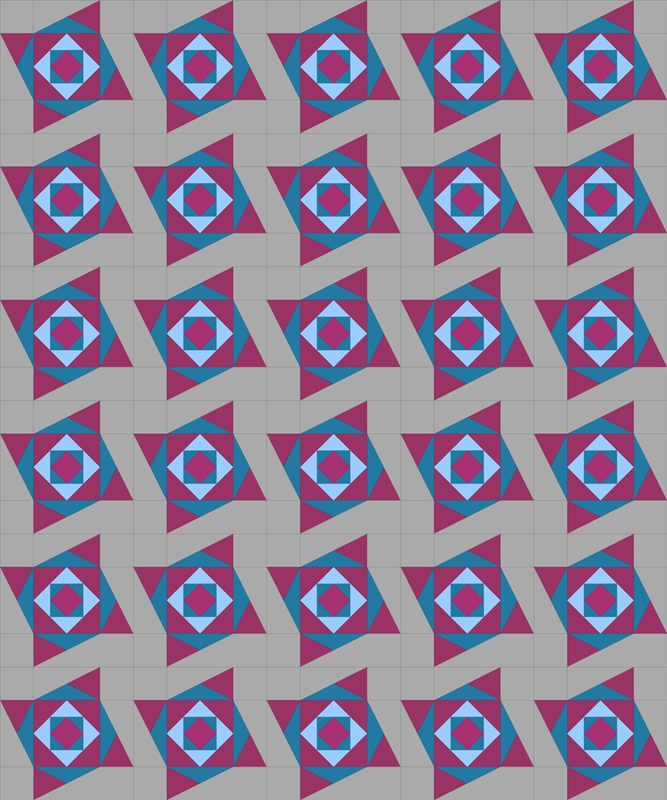 I think it would be fun to play with alternating a mirror image of the block with your block in the quilt layout. 😍😍😍That's how I feel about this one. It's perfect and so is the name! This is a really nice block. I love how the square in square block seem to spin out into the HRTs. So great! It's mesmerizing and really drew me in. Great block, thanks for sharing. I really like this block. I printed out the pattern from Craftsy - I might give it a try tonight. Agreed! The block is awesome. The stars seem to dance or spin in the layout. 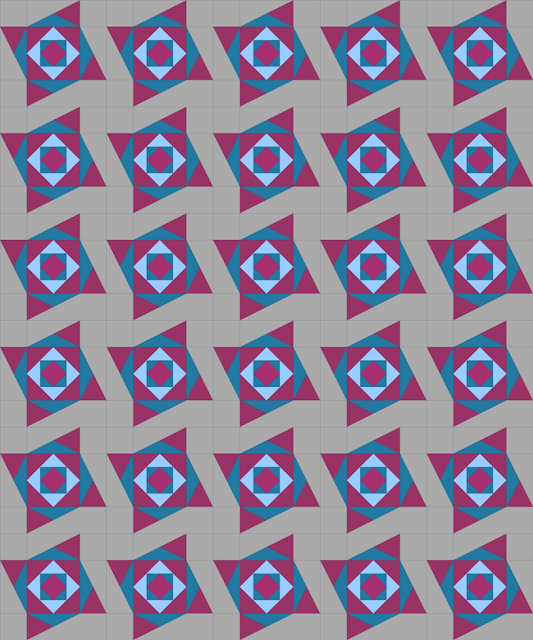 I really like the movement of this block, and I think it would be really fun to do using the colors in alternate ways. It looks like a fun one to make. This is such a pretty block. I love it in the Mojave fabric as well! Beautiful work! This is awesome! I'm so glad I finally figured out paper piecing. I think I need to try this block. This block showcases this color palette so well! Love the swirling feel, awesome job! Wow! This block looks complicated, but gorgeous. The colors go well together. Such a lovely block Renee! Would make a fabulous bee block. Happy hopping. Your block has great movement and the perfect name. Great job! Love the movement of this design. It would be so fun to include in a quilt. Great job. Beautiful block, I enjoyed seeing it in the two different colorways.